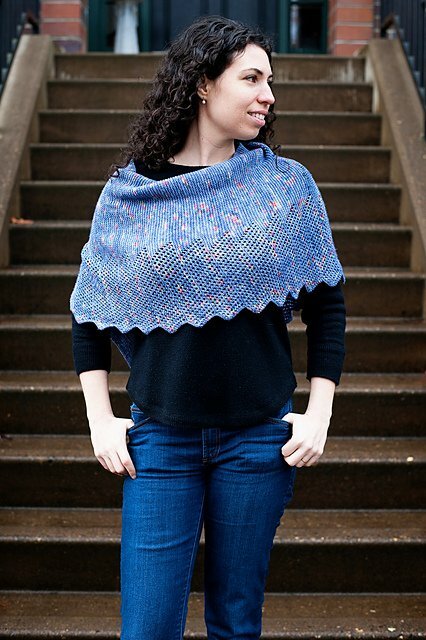 We're in love with this garter stitch poncho with just a touch of lace. It's perfect for days where you're not sure whether it's going to be warm or cool out. You can just throw it on as needed! With it's side to side construction it's very easy to adjust the size by just bumping up your gauge. So what are you waiting for? Join us for class and let us teach you to knit your very own Light Side Poncho. Gauge: 28 stitches = 4 inches for the 800 yard size. 24 stitches = 4 inches for the 1200 yard size. US 3 (4) needles or size to obtain desired gauge.